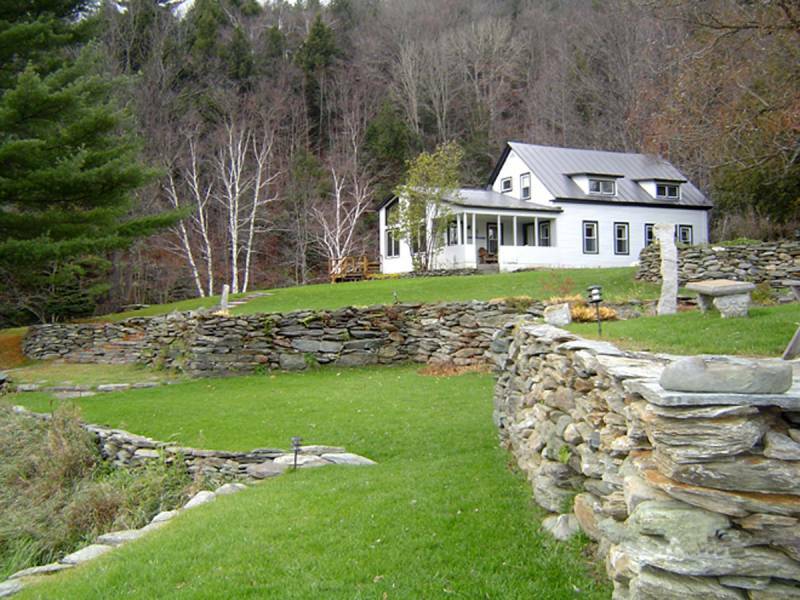 Waitsfield Vacation Rental, Waitsfield Accommodation & 2 more. 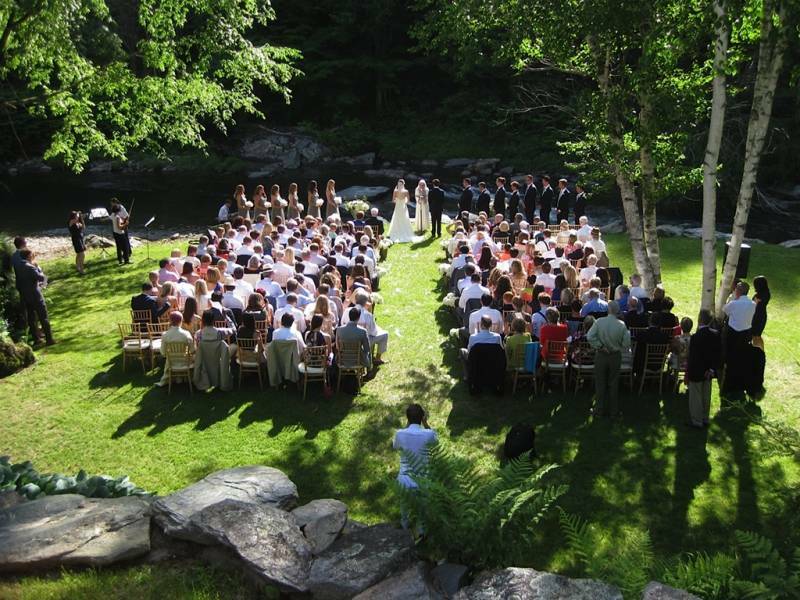 Surrounded by The Mad River on 50+ acres, The Farm on Mad River is the prime location for outdoor weddings and receptions in the Mad River Valley and Sugarbush areas. 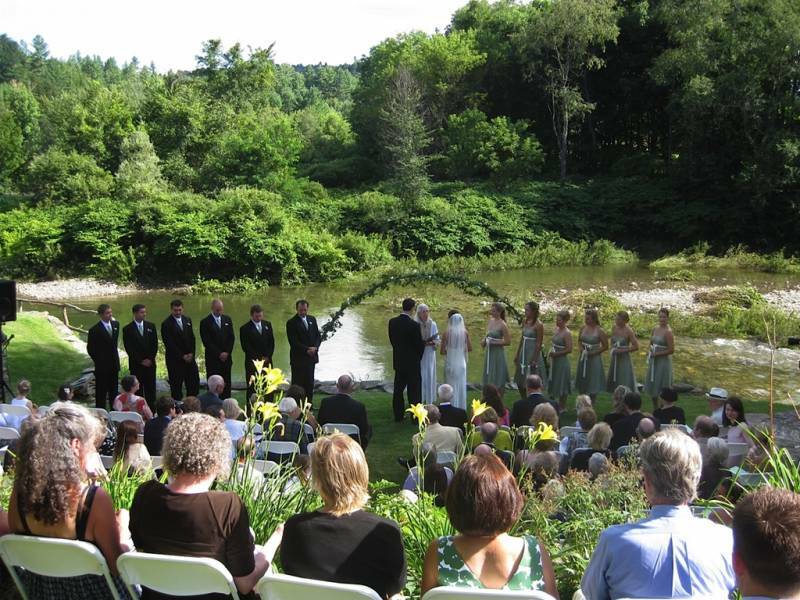 Create your own wedding experience here at the Farm on Mad River! 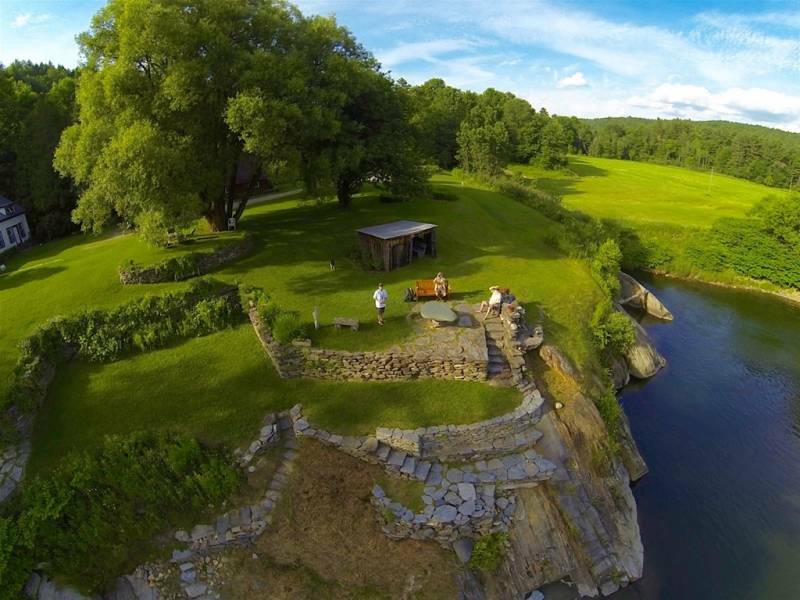 Terraced, fieldstone walls, beautiful gardens and spectacular views of the river and the Green Mountains provide guests with the Vermont experience of a lifetime. 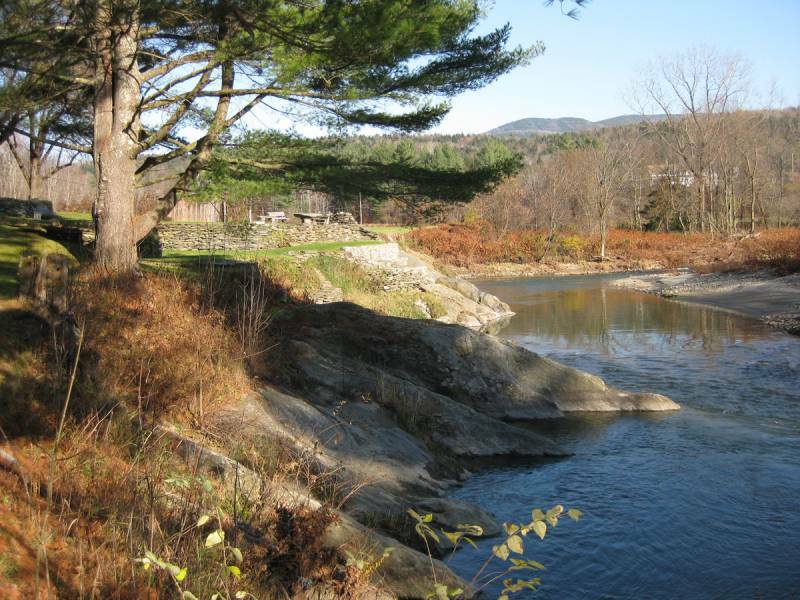 Cap your evening off with a fantastic roaring bonfire directly on The Mad River directly on this secluded property! 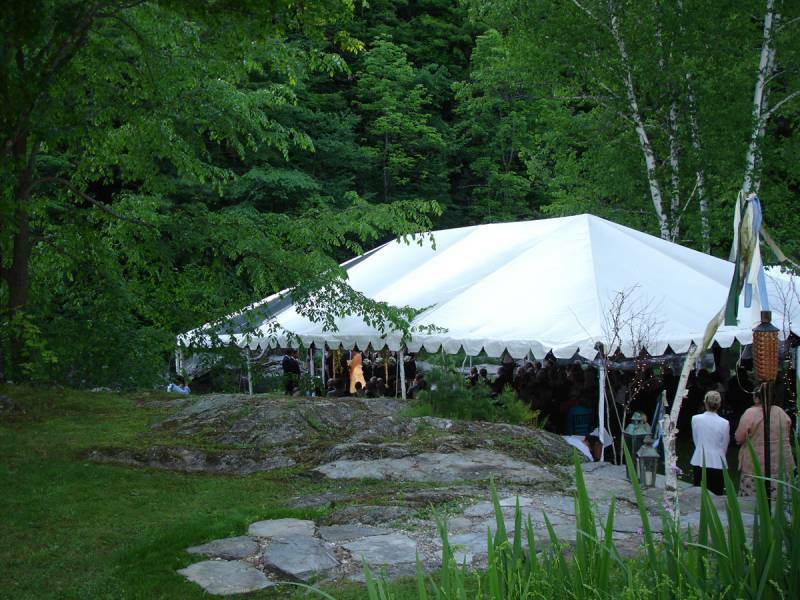 Accommodates both large and small wedding parties. 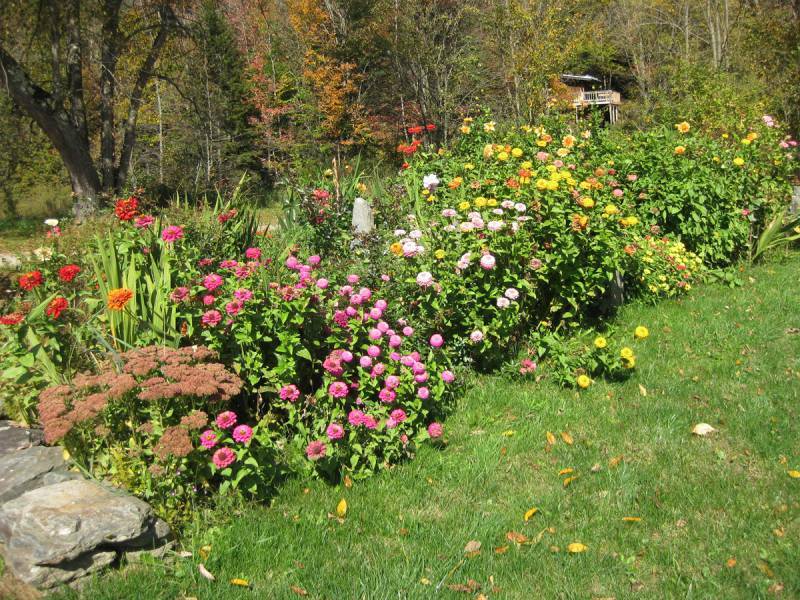 Accommodations available for 20-25 people at both The Farm and its adjacent property, The Overlook. On-site catering and outside caterers welcomed. Event coordination services available. Please call for further information, or to make an appointment to tour the property. Ask about our wedding reception packages for wedding parties - tailored to the number of guests you plan to invite. 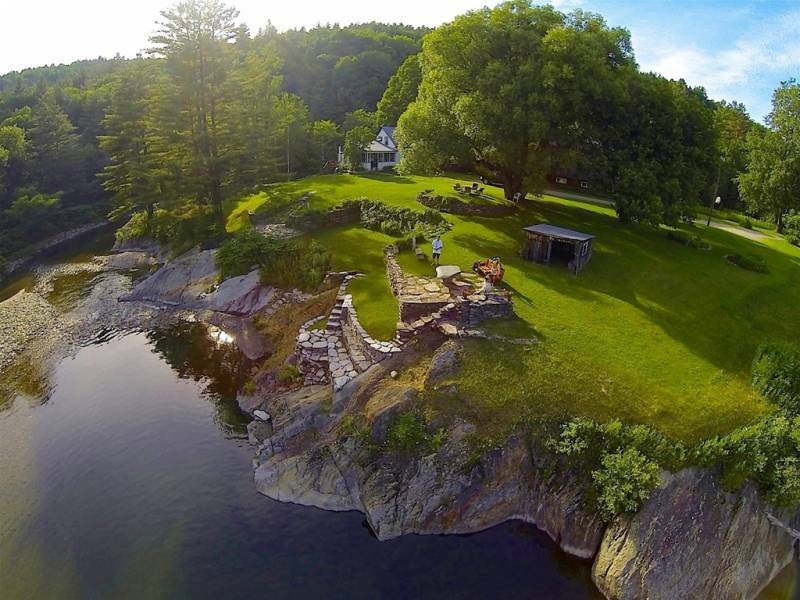 I held my wedding at this venue this past Saturday and I am still blown away at how gorgeous and perfect this place is. My husband and I both live in Louisiana and found this venue online and visited it in August. The pictures on the website do not do it justice. It is breathtaking. We were able to work with the owners and had the freedom to customize our wedding to fit our personalities. It truly was a special day at a special place.